Fogo! 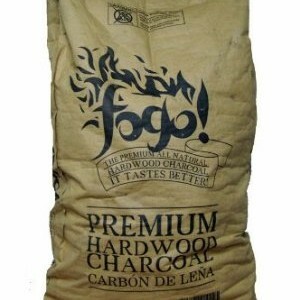 Premium Hardwood Lump Charcoal is one of the finest charcoal available in the USA. In it’s largest size, the 35-pound bag, you will only find hand-selected pieces of the biggest pieces of charcoal that we find in our production. This charcoal has some of the best properties you can find – it lets itself be easily regulated by changing the air intake to burn intensely hot or low and slow for more than 35hrs, according to some of our customers that use Kamado-style cookers. thoughtfully provided you with a map to the right. Click on the thumbnail to view a larger sized image. 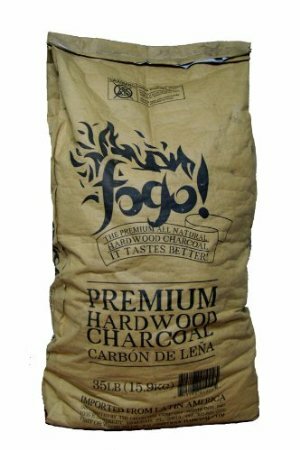 More information about how this charcoal is produced and the forestry practices used in its production is available on the Fogo Charcoal web site. Want to read the entire review? Click here. Please note that our price is lower than Amazon! Team Fireside has been looking for years for a product to replace the Wicked Good Competition Blend….we finally found it! Long burn times, clean burn with low ash production and the talk of difficulty in lighting is making something from nothing. If you light your charcoal with paper (first stop that) you might have some difficulty but if you’re lighting with anything more powerful you’ll have no problems.